Telltale throws you into the politically hostile world of Westeros and watches as you run free, dictating your own Game of Thrones. Playing as three characters in true Game of Thrones episodic fashion, it is essentially your job to keep House Forrester and the Ironwood safe from various threatening houses. Whether it’s Cersei’s distrust of your previous Stark alliance, or the threat of Ramsay Bolton’s imminent presence, the situations you are faced with couldn’t be more thrillingly delicate.  The game is based around your decisions, with timed conversation responses manipulating the gameplay content and the story of House Forrester as well as non-timed decisions that ultimately conduct the wider structure of the episode. Essentially you are enjoying a conversational dance, side-stepping questions about your allegiances and ducking through traps. A tactical minefield, you are forced to fully consider all your options, possible outcomes and allegiances throughout all your decisions. These situations are characteristically difficult to navigate, and though you get the sense that with some conversations the outcome would always be the same in the end, most of the possible decisions presented to you seem to be completely opposite in terms of outcomes. 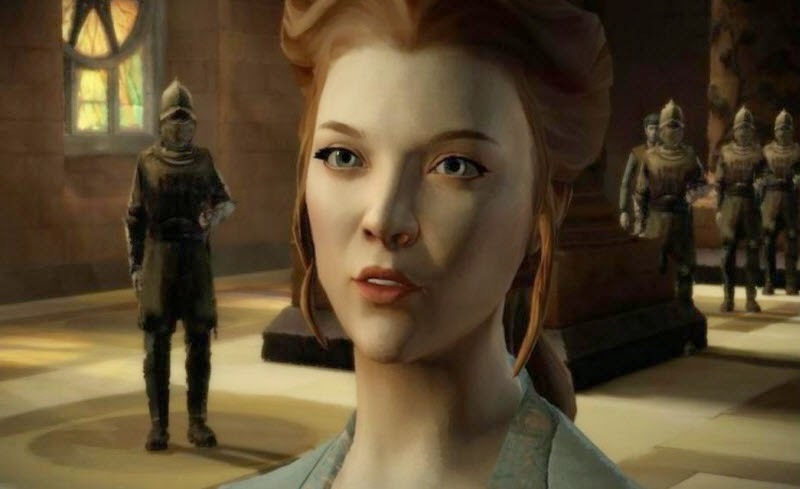 For example, playing as a Forrester handmaiden to Margaery Tyrell, speak with Cersei and she asks about your alliances with House Stark vs. your allegiance to the King. You can either admit your alliances with the Starks and really piss her off, or you can do as Margaery has told you and mindlessly back good old King Joffers. Two options that pose two very different outcomes from your conversation, that need to be considered alongside all your other motives in about 6 seconds. The fact that you play as three different members of the Forrester house in the first episode allows you to see more of the famous characters, locations and events from the beloved series. 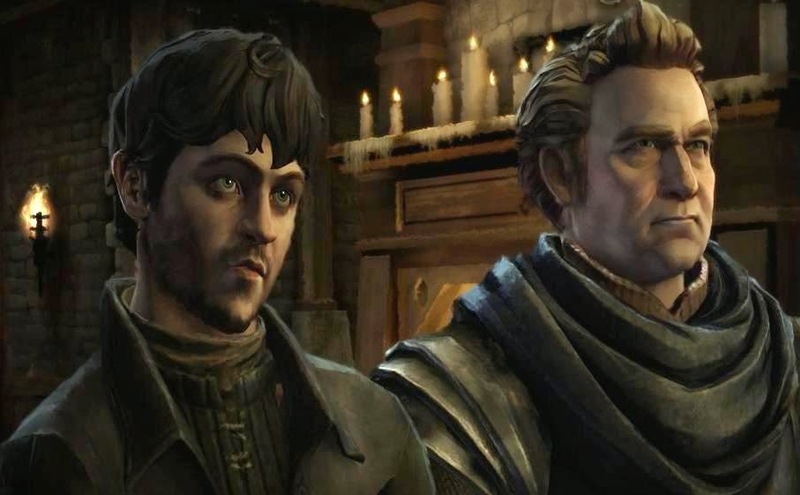 Playing as Gared Tuttle, players see a certain infamous wedding, and will be at the wall in the next episode, Ethan Forrester allows the player to be truly put in the drivers seat as they lead the house as Lord, and Mira Forrester, Margaery’s handmaiden, takes the player to King’s Landing to mix with the Lannisters. Through this, Telltale has managed to cram the entire Game of Thrones universe into the player’s experience without confusing or overwhelming the narrative. The slightly watercolour-y background sets the tone for the equivalent time period that the Game of Thrones universe it set in, and also allows you to maintain a focus on the words being said, rather than being distracted by extravagant scenery. In terms of animation, however, there are a few issues I would like to see dealt with over the next episodes. At certain points it felt like the images were moving slower than the sound, and certain movements and cut-scenes glitched or were frozen for a short while. However, this game’s main asset is its storyline, and as long as you know your Game of Thrones (or at least have someone there who can keep you informed), this will be two hours of well-spent shock, sweat, and panic that will leave you frantically Googling the release date for episode 2.